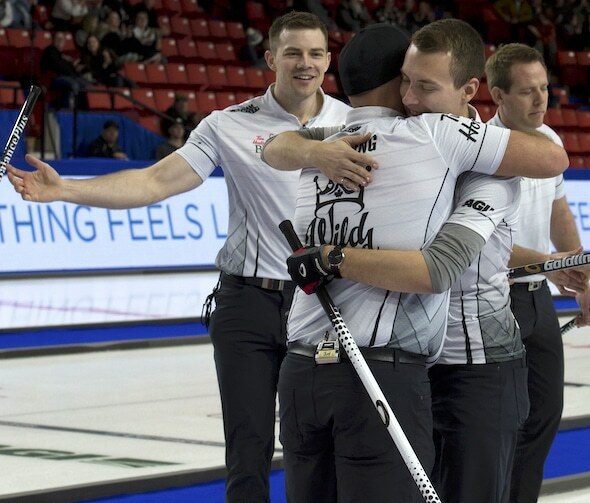 In a rematch of last year’s Tim Hortons Brier semifinal also won by Bottcher, the Alberta foursome made more key shots and had fewer misses to earn itself another shot at the Brier championship that it lost in last year’s final to Team Canada’s Brad Gushue. The game was tight until the eighth when Bottcher scored two and then stole one in nine when a desperation try for a triple on Epping’s final stone left Bottcher the key single. But both skips agreed the pivotal ends were early, in the third when Bottcher scored his first deuce before stealing one in the fourth. Bottcher said the key for his team was just staying relaxed, especially after giving up the early steal. Epping had a single in five and two in seven, but Bottcher scored two in the sixth to maintain control. The two teams got into the Wild Card game as the top-ranking Canadian Team Ranking System squads that had failed to win their provincial titles. Bottcher, third Darren Moulding, second Brad Thiessen and lead Karrick Martin failed to reach the final of the Alberta playdowns. 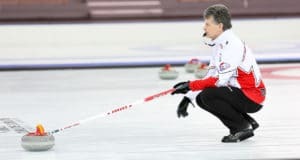 Epping, third Mathew Camm, second Brent Laing, lead Craig Savill and coach Jim Wilson, fell short of advancing out of Ontario, losing three times in the playdowns to eventual Tim Hortons Brier representative Scott McDonald. Bottcher scored a deuce in the third, stole one in four and added deuces in the sixth and eighth ends to offset an Epping steal of one in the second, a single in the fifth and two in the seventh. 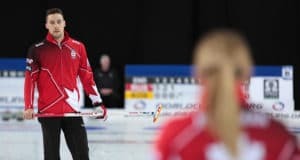 Gushue, here as Team Canada for a second straight year, begins his quest for a record-tying third consecutive Brier against McDonald in Saturday’s 7 p.m. draw. The first draw is at 2 p.m. 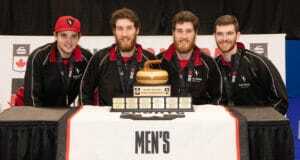 The 2019 Tim Hortons Brier continues with draws Saturday at 2 p.m. and 7 p.m. (all times CST).